Dan began his Boykin journey when his mother, June, read about the Little Brown Dogs in Field and Stream. The family nature and natural hunting ability intrigued Dan and the search was on for his first Boykin, Carolina Susie. After the birth of Katie, Sharon wanted a larger dog to help keep an eye on the “Princess”. 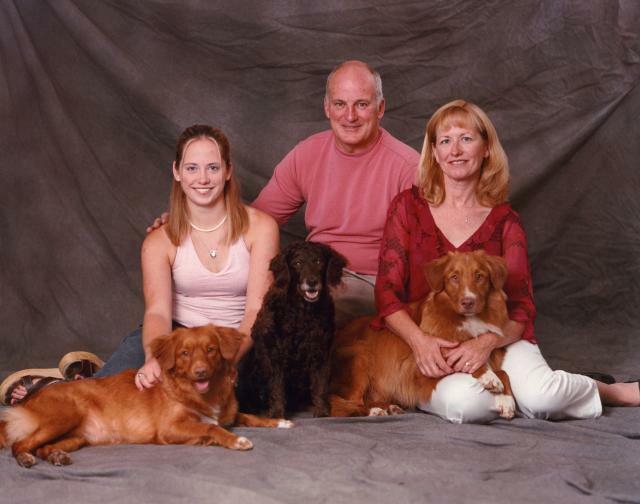 Again, another magazine article introduced us to the Nova Scotia Duck Tolling Retriever. Sylvan’s Winter Rose was soon in the house. The driving force behind the family’s show career is Katie. She began this hobby in 4H and excelled in both Obedience and Conformation. Once our first show dog was added to the family we were hooked on the thrill of seeing our dogs excel in conformation, obedience, rally, and hunt. The name Beekauz was inspired by Dan’s love for the honey bee. 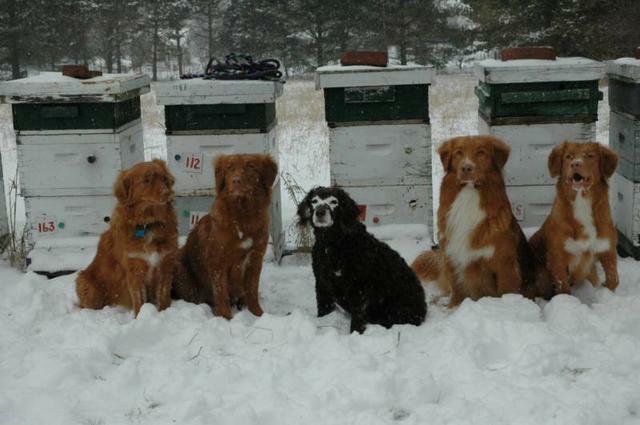 He keeps about 100 colonies and is one of the largest producers of honey in our area.